Thanks to Mark I passed my test first try in only 27 lessons which is a testament to his teaching! He is open to suggestions and asks what you want to do each week. You quickly feel at ease when driving with him and you know he has your best interests at heart. Thanks Mark! What can I say! I would be writing all night! I had a previous instructor who taught me nothing! & I failed my test. Mark Easter is a fantastic instructor I only spent including my test 9 & a half hours with him my driving improved by 100% and I passed with only two minors. Mark is a top bloke who really does care about his students and not just the money. He is kind funny & considerate and very tolerant! I would recommend to anyone & everyone who wants to learn to drive to go with Mark & his fabulous team. I cannot thank him enough! 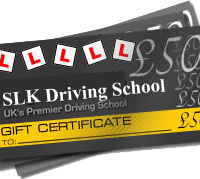 So guys & girls get booking your lessons & happy driving! Beep beep!? I feel so lucky to have chosen such an excellent driving school from the get-go. Mark is a fabulous instructor who managed to ingrain a lot of confidence in me during our lessons. Thank you so much, Mark, because without you and your teachings I Wouldn't have been able to pass with such a fab result - 2 minors! I would recommend Mark to anyone looking To learn how to drive, I passed my driving test on the first try today and it’s all down to having such a fantastic instructor! Mark gives you the knowledge along with the confidence needed to use it. Was very patient so when there was something new to learn or a daft mistake was made - there wasn’t the stress or panic that can come with these, so with certain menouvers that had always worried me in the past I now wonder what I was so worried about. I don’t think I would have been able to do anywhere near as well as I did if I hadn’t had him as my instructor, thank you so much Mark! Mark is a fantastic driving instructor thank you for everything you taught me. It really was a treat to learn from you. I thoroughly enjoyed the experience and would highly recommend you as one of the best driving instructor in Blackpool. 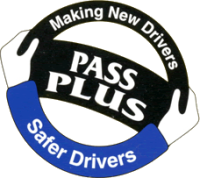 In October 2012, I started automatic lessons with Mark, and passed the test first time in Jan 2013 with 4 minors. I returned a year later (Jan 2014) to learn manual, and again, just passed the manual test first time with only 4 minors. Mark is very friendly, and it's a good laugh during the lessons. He is definitely not a miserable, patronizing git like some instructors I've met! Cannot recommend him highly enough. Many thanks, Mark, and best of luck for the future! So happy I passed my test, thanks to Mark a great instructor. He made me feel comfortable in every lesson hes very understanding and patient and whenever i had any worries he would put me at ease....thank you so much Mark!! I would like to thank mark for being an amazing instructor.for years i tried to pass but my nerves always got the better off me.but with mark he made passing easy.i cannot thank or praise mark enough for all his help,from start to finish.i would recommend mark at slk driving school to everyone. Thank you mark for everything.